When I evaluate a restaurant, seeing the balance of how much I pay and how delicious the dishes is are crucial. 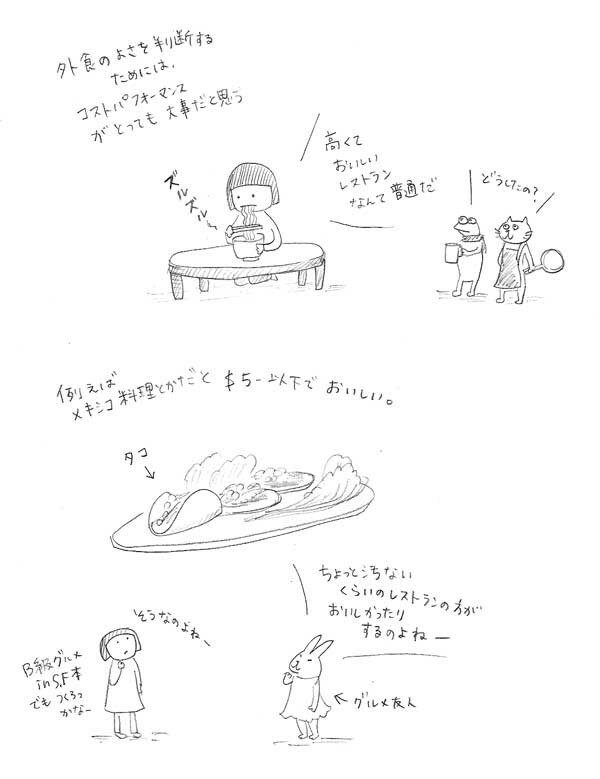 Yuki : I am not interested in a delicious and expensive restaurant. Frog & Nyankichi-Sensei : what happends? For example, Mexcian dishes, Tacos are cheap and delicious. My gourmet friend : It often happneds that a restaurant which is not so clean could serve delicious food~. Yuki : Yes, it's acutually true! Should I start to write about B-restaurant book? ?